“The Coconut Oil Miracle” by Bruce Fife, C.N., N.D.—This is a very well written book with tons of references and resources to back up that author’s medical research into the wonder world of coconut oil. In it you will discover the major cover up of the proven merits of coconut oil. Did you know that it’s the closest thing we have to a mother’s breast milk? Did you know that not all fatty acids are created equal? Some actually HELP your body, while others—such as those found in Canola oil—actually introduce toxins into your body. Did you know that coconut oil components have long been an additive used by pharmaceutical companies to successfully combat HIV? After reading this book, you’ll no doubt have another powerful method of independence in your pantry as well as a long-term shelf-stable one at that! The author also includes a great sampling of recipes which you can use to make sure you’re making coconut oil a great part of your diet. “Dishonest Money: Financing the Road to Ruin” by Joseph Plummer—I’ve shared with many of you my love for the book “The Creature from Jekyl Island.” This is a big book, but an enlightening read. However, Dishonest Money could easily be considered the cliff notes to “Creature.” I think it’s critical that everyone really understands what’s behind the workings of our U.S. currency so that they can make wise decisions to be better prepared in the very likely event of its demise. The author does a great job of taking a somewhat complicated subject and makes it very clear and concise. I have to agree with others when I say that it could be one of the most important reads of your lifetime. 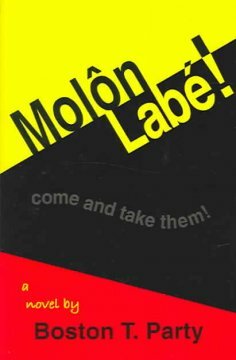 “MÔLON LABÉ” by Boston T. Party otherwise known as Kenneth W. Royce—The title is Latin for “come and take them,” however, it’s not a surrendering plea, it’s a challenge. The book is a thinly veiled novel which takes a look at a group of Americans who accomplish the unfathomable—they create a state of TRUE freedom in the United States by setting up camp in the state of Wyoming, gradually gaining control over political parties, and gradually reversing all of the legal wrongs that have fully penetrated our society, court systems, State Constitutions, and our no-so-freedoms today. The education of the book is priceless and the story line is so engaging, I had a hard time putting the book down at 1:00 in the morning several times. Just a little warning though—there are two characters in the book who are lacking in vocabulary skills and thus they drop the F-Bomb periodically. I personally loathe such verbiage, but the author depicts these characters as they truly would be in the real world. The pollution of the dialogue is certainly not to the point though to ruin the reading experience for me. 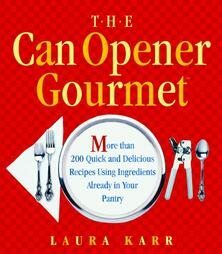 “The Can Opener Gourmet” by Laura Karr—This book is a great resource for meal ideas which can be created from shelf-stable foods in your pantry. While it was originally intended to cater towards the culinary challenged, it’s a great resource for folks who may end up suddenly living off of their long-term food pantry. Several of the dishes are simple enough that even my husband—who LOATHES cooking—has been willing to take them on. I think that every prepared home could find plenty to enjoy in this book. 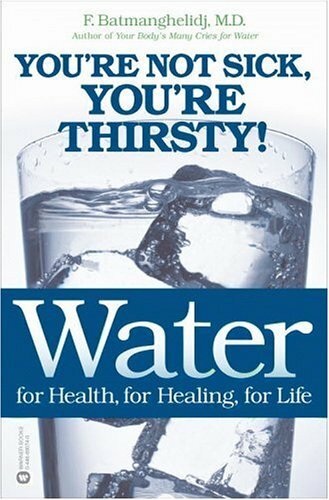 “Water: For Health, for Healing, for Life: You're Not Sick, You're Thirsty!” By F. Batmanghelidj, M.D.—This book is a critical read for anyone who’s wanting to store a sufficient amount of water for their family for that “just in case” scenario. The author puts water in it’s proper vital perspective, and helps you understand the “why” behind water consumption. If we all followed the counsel in this book, I’m positive that we all would experience a significant reduction in our symptoms of ill health and completely eliminate many of them as well. Did you know that WATER is the very first nutrient your body requires? Every other system in our body, which helps us to function and to fight disease, is contingent first and foremost on the water we consume. So, before anyone dismisses the proper role of water in their preparedness efforts, read this simple book and be enlightened. I highly recommend his other books as well that delve into greater detail of the relationship between water consumption and obesity, depression, and cancer. 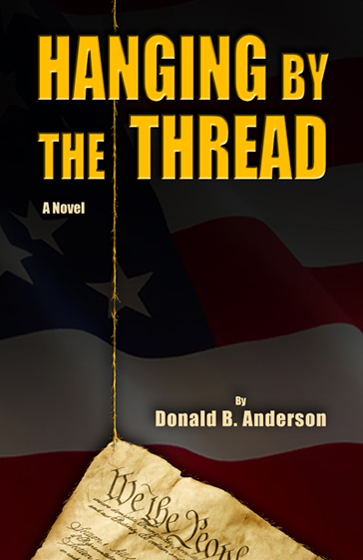 Lastly, I wanted to mention a book that one of my readers recommended called “Hanging by The Thread” by Donald B. Anderson. The author brilliantly writes of a terrorist cell known as “the thread” which infiltrates all levels of society here in American and threatens to destroy it with financial manipulation, orchestrated food shortages, acts of war, etc. It was another good read that I couldn’t put down. 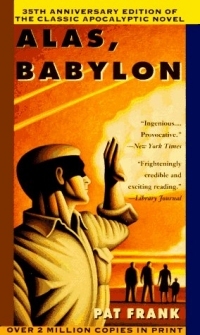 Just as a reminder, some of the books that I’ve mentioned in the past that are some of my very favorites novels which deal intimately with the topic of preparedness are “Alas, Babylon” (a novel) by Pat Frank, “One Second After” (a novel) by William R. Forstchen , and “Patriots: A Novel of Survival in the Coming Collapse” (also a novel) by James Wesley Rawls. I also love to read books by qualified authors which help to make the scriptures more clear as they relate to the last days. No reading is complete without this context taken into account as well. There was a book that I was sent to review recently that I didn’t really care for called “Noah’s Castle” by John Rowe Townsend, but perhaps I’m too hard of a critic when it comes to addressing topics of economic or societal collapse. I just couldn’t relate to any of the characters in the story line and felt frustrated that the author didn’t tie everything together in a manner which I consider to be true. However, I will say that there were several parts of the book which were helpful reminders in my preparedness efforts—most particularly the importance of holding your cards close and only sharing information with individuals you know you can trust. It also reminded me how important it is to align with trusted friends who are like-minded and well educated in the area of preparedness. If any of you have books to recommend, I’d love to hear about them as well. It’s all a part of your Mental Preparedness principle, so I highly encourage such reading. Reading of the very scenarios that you may come in contact with someday will give your brain great resources to guide you through such times. Reading is a form of mental rehearsal which can’t be appreciated enough, in my opinion. That "MÔLON LABÉ” sounds really intersting. Would you let me borrow it from you? If its as good as you say it is you should have it back in a couple of days! I have a copy of "One Second After" if anybody local is interested in reading it. It's a page turner for sure! I'm not sure if anyone is interested "MÔLON LABÉ" “come and take them,” is what King Leonidas said to the Persians when asked to lay down his arms at the battle of Thermopylae. Hi Everyone - If you have books you can part with please consider joining paperbackswap.com. This is such a fun site and it is free. The have all genres, I'm sure you can get one second after or alas babylon. I actually received Parable of the Sower by octavia butler in short order. (pretty good book about a fictional dystopian american future). You can put books that you want on your wishlist if not available. I am currently waiting for Hunger Games, which is supposedly an excellent book. You may have to wait a while depending on the books popularity but nothing beats free! If anyone joins please find my profile "tahneeb" and we can be book friends! If you are looking to understand the psychology of your first response in a 'disaster mindset' read 'The Unthinkable' by Amanda Ripley.